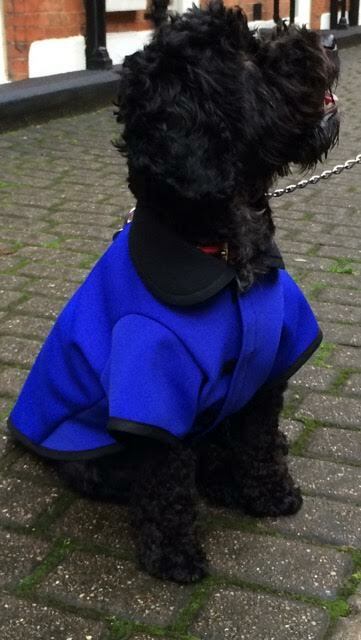 This is Dante – and he’s wearing his birthday present – a Costeau neoprene coat from my range of clothing! 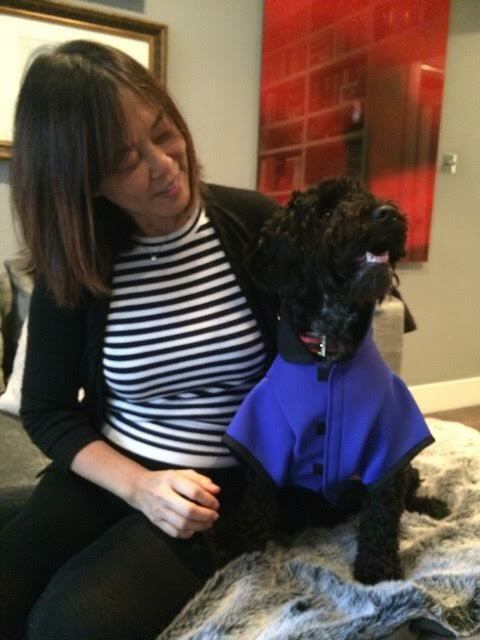 May’s comment: A little hobby business I started a year ago because I could not find any dog coats that’s practical and equally importantly – stylish! Those flaps of fabric with a velcro band didn’t do it for me. They kept the top of the dog dry, that is if we ever went out in the rain, but their chest and bellies would be wet and mucky. Especially after the rain stopped, walking the wet London streets was no better. So we made our own! LOL! And Dante is one of our happy customers! Dan loves his Birthday present keeps him dry and clean too. 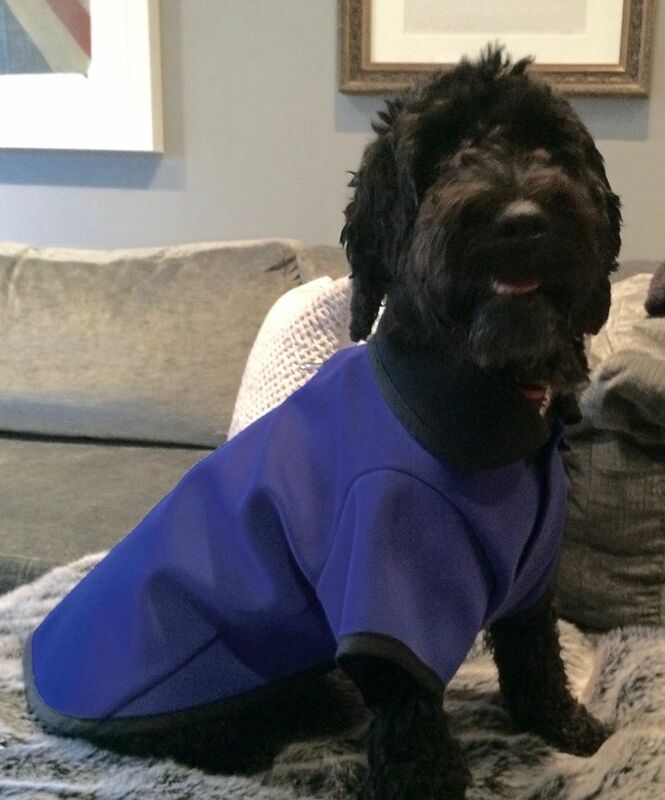 I am a subscriber of your newsletter but can’t remember where can we buy your dog coats?